I believe it is a given that those of us who aspire to write are also vociferous readers. A reader is a wonderful thing to be; however, I have come to the conclusion that sometimes this state of mind and being can be an impediment to an author aborning. Reading a novel by James Lee Burke or Karin Slaughter or John Connolly or Chelsea Cain can inspire a reader to think, “I want to do that.” Yet it can also be discouraging; one reads BLACK CHERRY BLUES by Burke and thinks, “I can never be that good; why bother?” The fleeting dream is set aside, sometimes permanently. Part of the reason for this state of affairs is that in the case of a book (or a film, or a painting, or a music project) we rarely see what came before, the early stages that led to the final result. Such does not hold true with respect to a construction project, to name but one example. We recently had the opportunity to watch an all but vacant shopping center in our area be transformed over a period of several months into a wholly done, over, remodeled, commercially successful unit. It was fun to watch. Readers generally do not get to watch the process by which their favorite author transforms a few hundred blank pages into a cohesive, occasionally unforgettable, experience. So it is that the novel, upon publication, seems to have sprung from whole cloth, seemingly effortlessly. We know better, of course. But it is difficult sometimes to fully appreciate it without seeing the ultrasound ourselves. I hit an emotional low point this past week for a number or reasons that aren’t really important to this discussion; what is important is what brought me out of it, at least so far as creativity is concerned. I happened across an article in Slate entitled “Cormac McCarthy Cuts to the Bone.” You can find the article here. 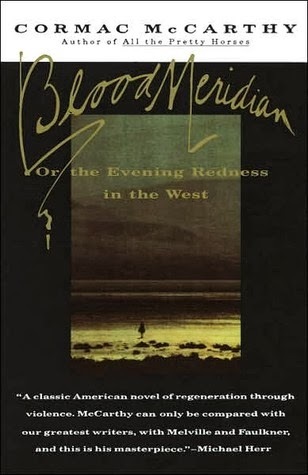 It is an extremely interesting piece which, among other things, reveals that McCarthy’s classic novel BLOOD MERIDIAN was a far different book at publication than it was at conception. What really attracted me to the article, however, was the reproduction of two pages from McCarthy’s original draft. They are instructive, even if you have never read a word that Mr. McCarthy has written or alternatively would not reflexively grab your copy of BLOOD MERIDIAN or THE ORCHARD KEEPER if confronted with a fire and the resultant dilemma of what to save. 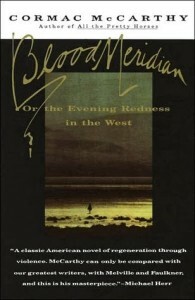 BLOOD MERIDIAN did not flow out of McCarthy’s mind without deep and dark consideration. If you’re having trouble getting your words out of you and onto the page, don’t let it be because you in your own mind aren’t “good enough” or “as good” as your favorite author. When your favorite author started writing, they weren’t good enough either. It takes several drafts, several cement pourings, if you will, before things solidify and become right. Don’t put your handprints and your initials into your work and ruin it before it is dry. 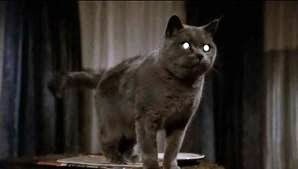 Purge yourself of what playwright John Guare so brilliantly called “tiny obnoxious editor living in your head,” the one who tells you that you will never be as good as Stephen King or Elmore Leonard or whoever. Then let the construction begin. Ah, the holiday season…time of looniness and mayhem… Today, being my last blog post for 2009, I’m going to channel the holiday spirit and write about conspicuous consumption (of books of course!) and my family’s current wish list for Santa. Now first up (appropriately enough) are my parents. Notoriously hard to buy for as they devour their favorite authors’ latest books as soon as they come out, th ey have few books still on their list so I’m going for the audio book approach: I figure I can’t go wrong with Good Omens by Neil Gaimon and Terry Pratchett (my father is a huge fan of both) or The Screwtape Letters by C.S Lewis…only problem, not sure Santa’s up on the whole ‘bureaucracy of hell’ or ‘the end is nigh’ stuff – might dampen the ho, ho, ho…but, bah humbug, that’s what they’re getting. My twin boys are so much easier – I’ve already indoctrinated them into loving mystery books (the old fashioned, English kind, of course). Once again, Enid Blyton r ules and my boys are already obsessed by the Secret Seven mystery series (seven kids, a dog named Scamper and lots of English village mysteries to solve) and are about to discover the Adventure series (four kids, a talking parrot and mysteries in exotic locations). Santa is fully up to speed on their book requirements though (sigh), Lego is still number one on their Santa list. My husband is always a trickier proposition, book-wise. He barely has enough time to start a book let alone finish it, but I recently introduced him to a terrific Australian thriller writer, Michael Rowbotham, so I know he’ll be trying to read him over the holidays. As for his list, well I’m going for non-fiction instead with Michael Chabon’s latest, Manhood for Amateurs. I wasn’t quite ready to put his wife’s book, Bad Mother, on my Santa list (my fragile ego couldn’t cope with unwrapping it on Christmas Day…) but I’d love to read it all the same. I have a veritable library of titles on my list for Santa…and certainly not enough time to read them all…but my top three are: AS Byatt’s Edwardian saga, The Children’s Book; Cormac McCarthy’s post apocalyptic, The Road, and Juliet Nicholson’s non-fiction account of collective mourning in the aftermath of WW1, The Great Silence. 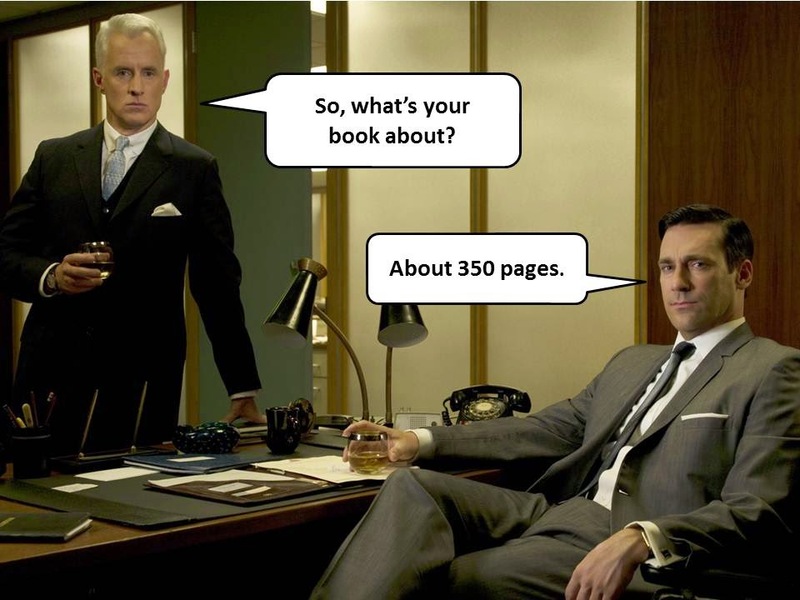 So what books are on your Santa list? ?